*top 4 team member scores counted toward trophies. $100 per shooter unless team has sponsor support. Register your team here. Enter the team member names and check if they are badge holders. Additional Note: the paypal donation page does not require a Paypal account to make a contribution. Look for the 'Don't have a Paypal Account?' link on the left of the page. 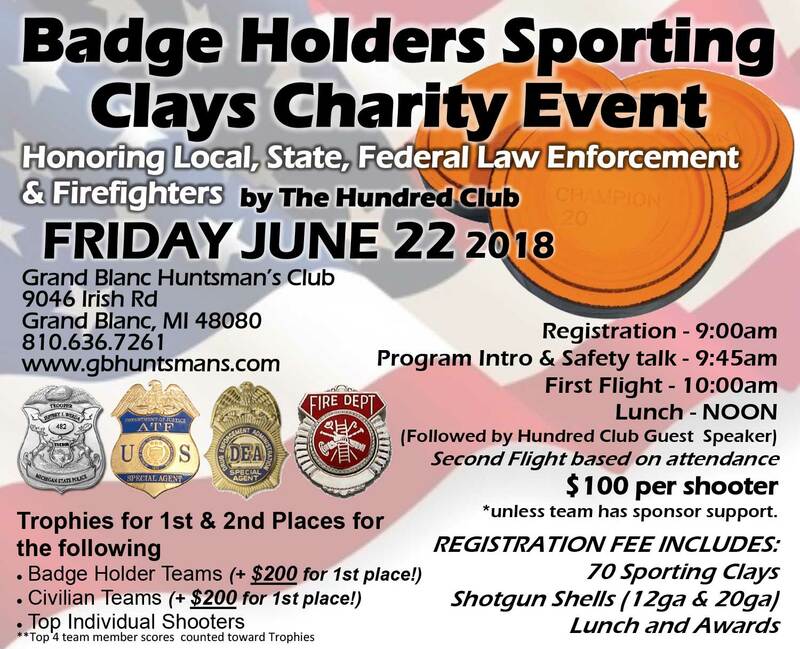 For additional information, contact us or call Leanne at 810-406-3194. THANK YOU for participating and supporting our local badge holders who protect your community! Company name displayed on shoot day registration forms.